Kendo is a Japanese martial art meaning “the way of the sword,” a sport that is both physically and mentally challenging. Developed centuries ago by swordsmen in Japan who established schools, kendo pits bamboo sword-wielding opponents against each other in battle. 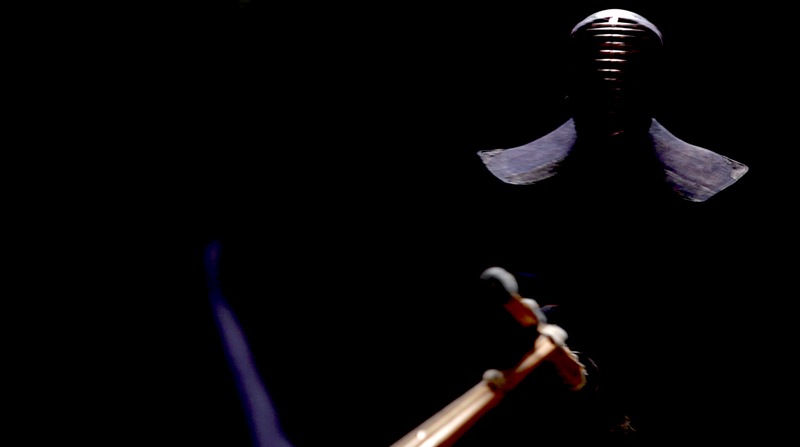 Kendo is also the centerpiece of When Night Turns to Day, a film written and directed by Amy Guggenheim, a New York-based filmmaker and kendo practitioner. The founder and director of Global Cinema, an independent film production company, Guggenheim is the writer, director, and producer of the short film The Snake and the Parrot, which was released in July 2012. 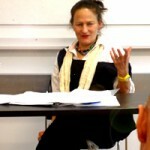 She is also a tenured part-time instructor at Pratt Institute, where she teaches cinema and media studies. Guggenheim began practicing kendo when she was working on a solo theater project, and a director suggested that it would be a good way for her to reset her focus, as the sport takes a great deal of concentration and discipline. Kendo dojos are open to anyone who wants to play, regardless of nationality, and Guggenheim received encouragement from everyone. She learned the nuances of posture through kendo, but during the early part of her training, she discovered that a lot of things aren’t explained outright. Rather, learning happened by being corrected by fellow students. Women are not new to kendo; in fact, Guggenheim says that 800 Japanese women competed in the first international women’s kendo tournament. Still, some of the younger or more conservative men didn’t like it when she hit them. Despite its group-first mentality, “kendo is about individual roles, process, the self, and finding your own voice,” says Guggenheim. “For women to be aggressive with their voices is healthy,” she says. Kendo is not Guggenheim’s first encounter with Japan. As a seventh grader she chose to research the country for a class project that introduced students to different cultures. She collaborated with famed Butoh artists Eiko and Koma on a kinetic awareness film, and she went to Japan for ten days to research Kabuki and Noh theater on a Mellon Fund Scholarship. Guggenheim didn’t take kendo as a film topic seriously until she took a screenwriting class. Using the martial art as the centerpiece of a relationship, Guggenheim tells the story of an American woman and a Japanese man who fall in love and quickly get married. The film features the couple’s tension and the emotional issues they work out with the aggression of kendo. After writing the script for When Night Turns to Day, Guggenheim asked her kendo sensei to read it and offer feedback. Not only did he approve, he wanted to participate in the making of film. “It was a big moment for me that he trusted me,” says Guggenheim, who strives to show authentic kendo while making it accessible to a larger audience. In the lead role is Tanroh Ishida, a young Japanese actor who appeared in 47 Ronin and most recently starred with Colin Firth and Nicole Kidman in The Railway Man, a major motion picture based on the true story of a Japanese POW camp in Burma. Ishida originally trained in Noh theater and studied Shakespeare in London at the age of 15. The audience can now watch When Night Turns to Day develop until its expected release in 2015.